This double insulated biscuit jointer can be used to cut #0, #10, and #20 biscuit slots at 45 thru 90 degree angles. This plate joiner also includes a carbide tipped cutter blade for easy smooth cuts. 110 volt 60Hz Powerful 700 Watt Motor. This tool will get the job done. Don't pay up to $100 or more for the same biscuit joiner tool at your local hardware or home improvement store, you can have this jointer delivered to your front door at a fraction of their cost! Includes 4" Carbide Tipped Biscuit Cutting Blade already Installed! 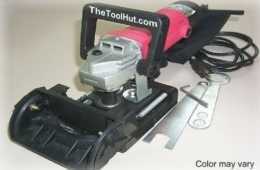 Price includes shipping to any of the lower 48 States U.S.
Biscuit Joiner price $49.00 Sold Out. Please see below for more biscuit joiners.